The mainstream media just published a news story about the tragedy of the Rockefeller family: David Rockefeller, the billionaire businessman and philanthropist, who was the last in his generation, in one of the most richest and famous families in the world, died Monday at the age of 101. David was the grandson of 'Standard Oil' co-founder John D. Rockefeller and the youngest of 6 children born to John D. Rockefeller Jr.; At some point, he became the guardian of his family’s fortune and head of the network of family interests that ranged from environmental conservation to the arts. David Rockefeller lived his life without ever seeking public office. Among his many accomplishments were the initiating of the project that led to the World Trade Center. Rockefeller graduated from Harvard in 1936 and received a doctorate in economics from the University of Chicago in 1940. He served in the Army during World War II, then began climbing the ranks of management at Chase Bank. He was named Chase Manhattan’s President in 1961 and Chairman & CEO 8 years later. He retired in 1981 at age 65 after, a 35-year career. Under Rockefeller, Chase was the first US bank to open offices in Russia (former 'Soviet Union') and China. David Rockefeller and his wife, the former Margaret McGrath, married in 1940 and had 6 children: David Jr., Richard, Abby, Neva, Margaret and Eileen. Interesting enough: his wife, an active conservationist, died in 1996. Let's look at some Gematria: 101 stands for "to set, to put down by, to wound [it connects to number 911 in Hebrew], to be descended, to close, end; to come to an end, finish, over, a kingdom, royalty". 101 is the 26th PRIME. Note, 26 is the Gematria of Tetragrammaton, the Hebrew name of God: Yod=10, Hey=5, Vav=6, Hey=5). So, another death "by the numbers", it appears. D. Rockefeller was born on 12/06/1915. From his birthday until the day of his death there is a time span of 37,159 days from the start date to the end date, or 101 yrs., 9 mo., 8 days, excluding the end date. According to the media, Rockefeller's death came as a result of 'congestive heart failure'. 37,159 can be broken down to: 37 and 159. 37 is very ionic number: it means "life; also, peerless, Yehudia- the highest soul in Qabalah, to be alarmed, to tremble, to perish suddenly". 159 means "to swoon or faint; also,"Brother Stands Up" [in Freemasonry, when the Gr. Master recognizes you, you must stand up]; it connects to 719 in Hebrew, which means "to set forth a cause"; "Freemasonry" = 159 in EK#3. 9 mo. and 8 days make the number 98. 98 is "to be white, shining, sun, sun image, to forgive or pardon". Marty Leeds gives a reasonable explanation of 98 here. Let's bring some Conspiracy to the story: The scripted media news brings us a phrase "congestive heart failure", which equals 111 in LRG, and 233 in EK#3. 111 we discussed here; it directs us to 666. Note, "U.S. ruled by Black Magic" = 233 in EK#1. Moreover, "David Rockefeller dead at age one hundred one" =167 in LRG, but so that "Hit and Run: March twentieth two seventeen" = 167 in LRG. There are exactly 84 days before his 102nd birthday or 2 mo. and 23 days. 84 is an important number: it stands for "the congregation (of Israel), to become silent, to be destroyed, a dream, to become strong [the soul]". 84 reads like 8/4, and it reminds for President Obama's birthday; 2 mo. and 23 days make the number 223. The word "Masonic" equals 84 in EK#1(E. Kabb.) and 223 in Latin Gematria. How coincidental to have it both ways at the same time! Speaking of 223: Note, "David Rockefeller died March twentieth two seventeen"= 223 in LRG. Also, "Black Magic conspiracy" = 84 in LRG. (Death 'by the numbers'!). Moreover, if we continue to follow the script, here is what we get: "David Rockefeller dead March twentieth two seventeen"= 215 in LRG; but, "Six Hundred Sixty Six"(666) = 215 in EK#3; and "David Rockefeller dies March twentieth two seventeen"=228 in LRG; "Black Magic destruction" = 228 as well, in EK#3. Note, "David Rockefeller dies March twentieth in Pocantico Hills"=248 in LRG, but "Black Magic's conspiracy" = 248 in EK#1. 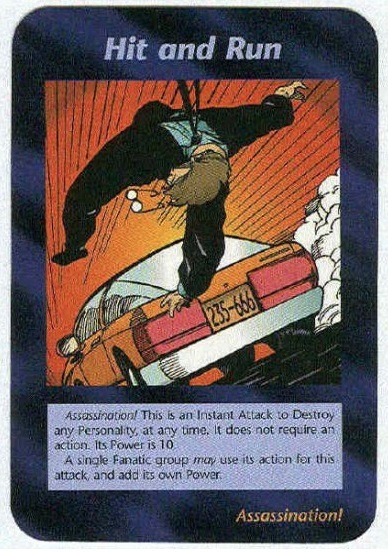 Rockefeller's death fits the coding of the 'Hit and Run' card in the Illuminati Card Game, just to play with your mind (my opinion): "David Rockefeller dies from congestive heart failure"= 235 in LRG. Interesting enough, exactly in the same day, the media reported that Tom Brady's jersey was found: "Tom Brady's stolen Super Bowl jersey found March twentieth" = 235 in LRG. Finally, we can look at the Gematria of his name: "David Rockefeller"= 75 in LRG and 183 in EK#3, but "Mason" = 75 in EK#3, "Masonic Lodge"= 183 in EK#2, proving English Kabbalah, Old Latin codes work. In summary, it is hard to believe that a conspiracy for the death of David Rockefeller took place, hence, there is no doubt, his life was predetermined, which is shown by the numbers above. 101 was a perfect age for him to officially disappear; One additional note: his grandfather, John D. Rockefeller, died at age 97 (1839-1937). If we take into account that the life expectancy during that period of time was around 48 years, as the healthcare wasn't that advanced, 97 years living seems highly unusual. Note, the phrase "Revelation Nine Eleven" = 97 in LRG. [it praises Satan - Abaddon / Apollyon]. Note, "David Rockefeller dead March twentieth"= 155 in LRG; "Freemasonry"= 155 in EK#1. Conspiracy Theorists will speculate that this is either a "fake death" or Rockefeller's death was "set at age 101 by the global Black Magic ring of politicians and celebrities", so, we can discuss all day and night what and how it happened. As more news comes in, we'll continue to bring you updates on that story.